This week's Splitcoaststampers' Featured Stamper is Precious Kitty. Her gallery is full of amazing work and she is often a player in the weekly Featured Stamper challenge! Great how you arranged this card ! Beautiful card! Love the random placement of the leaves and berries and the lovely sentiment being hugged by them. Again, love the shadows which really make everything look popped up! Awesome card! Love the shadows! 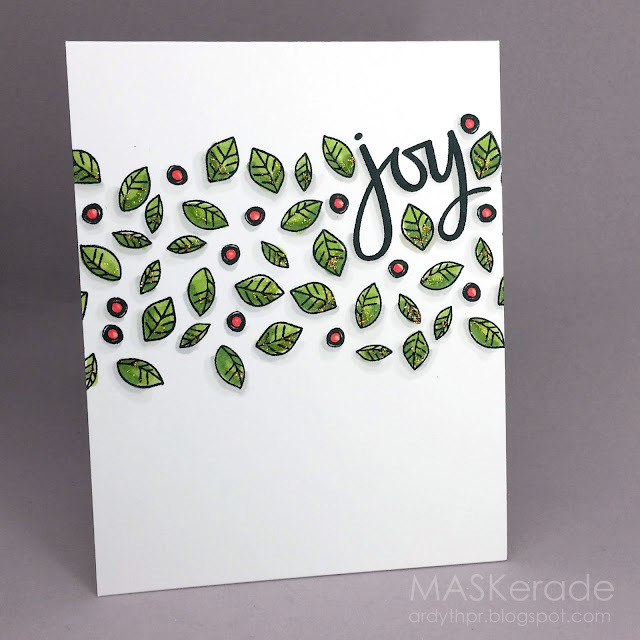 Love those pretty little leaves dancing on your card!! Very cute Ardyth! Love this card...just love it! Now I need these stamps!